Get inspired! Buy the eBook with over 137 perspective pieces to help you with your business, your clients, & your life! 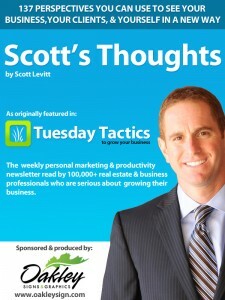 “Scott’s Thoughts: 137 Perspectives You Can Use to See Your Business, Your Clients & Yourself in a New Way” contains the best articles from the Tuesday Tactics Newsletter, a weekly personal marketing & productivity newsletter read by 100,000+ real estate and business professionals. Packed with though-provoking ideas and new ways to approach and solve problems, this book serves as a companion and coach. We hope you’ll choose to dip in and out of this book as needed. Each piece is short enough to be digested in a few minutes, and skipping around the book is as easy as browsing the linked table of contents. Some entries as short as a half page, and others go on a bit longer. The idea is simple: Get inspired, get energized, and get back into what you love about your business. Q: How will I get the ebook file? A: After your payment is processed, you’ll be given a link to download the file to your computer. 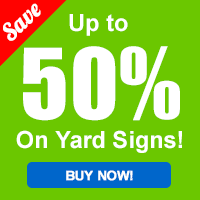 You will also receive a follow-up email with a link to the file, just in case. Q: How will I install the file on my device? A: You can transfer the file to your device/reader by following the instructions used to sync ebooks to your device. On the Kindle, you may simply send the file to your Kindle’s email address, and it will automatically be delivered wirelessly to your device. On the iPad, simply open the file with iTunes and sync your iPad/iPhone to transfer the file. With the Nook, you can copy the file using your USB connection. With the PDF version, simply open the file on your computer using a PDF reader like Adobe Acrobat (or Preview). Q: Who will process my payment? You will also receive and email receipt from Gumroad. Q: Why can’t I buy this on Amazon/B&N/Apple Store yet? A: We’re offering the book directly to Tuesday Tactics readers at a pre-sale discount. The book will be available online through other retailers soon, but the price will be significantly higher. Q: What if I have problems or additional questions? A: If you have problems with the ebook, simply email [email protected].